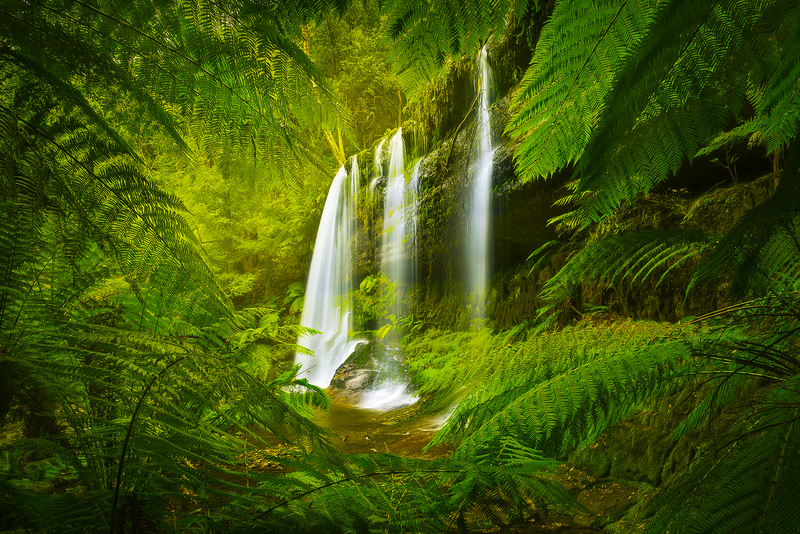 On the final morning of my camping trip in Tasmania, I returned to photograph Russell Falls. This time as I continued to explore new angles of this stunning waterfall, I stumbled upon this beautiful window of ferns that framed the lower tier of the falls. I spent a lot of time exploring this area and it paid off. Its unique views like these that I love. When nature manages to create these beautiful scenes and I am simply lucky enough to come across them. This was a brilliant way to end what was an awesome 8 days! Secure your limited edition, Russell Falls photographic print, 'Forest Vista', by selecting your desired print size in the menu to the right.